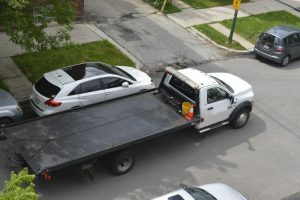 If you're online searching for the best all around towing rates look into our affordable flatbed towing services. Your car will be carried on the flatbed instead being dragged around like a wheel lift tow truck. Anytime a flatbed tow truck is used wearing or scratches on your vehicle are prevented since it will be raised above the ground. Ask for a flatbed anytime you are trying to tow a 4 wheel drive or rear wheel drive vehicle. In the long run you will save money and see more value towards your affordable flatbed towing service. Our low cost flatbed towing services are available in Camarillo, Malibu, Ventura, and the Oxnard areas. Give us a call we're available 24 hours a day anytime you need our towing services. Your vehicle can show signs of mechanical failure in many ways. We advise that you always let a professional service your vehicle when it's broken down on the freeways to avoid injury. By giving us a call we'll send out our experienced tow truck technicians within minutes. Our company knows breakdowns can occur at all hours of the day or night so we have tow trucks ready anytime. 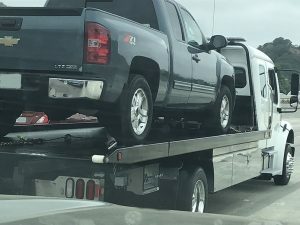 KB Camarillo Towing is available 24 hours a day to offer affordable flatbed towing service and send out the closest tow truck within your area. Be sure to let our phone operators know all the issues your vehicle may be showing signs of. Our technicians will make sure you are towed to where you need to be. Always let our phone operators know if it's an emergency or if it's not. We will make sure your towing service is expedited to reinforce your safety of the situation. Once you let our operators know the details they will dispatch the closest tow truck within your area. We always offer the lowest possible rates for our flatbed towing services in Camarillo or the Oxnard area. Give us a call anytime you need fast immediate flatbed towing in Camarillo or the Ventura area.